You’ve got a good base, but need to shed that layer of body fat to see the sculpted physique hidden underneath. The problem is that while you have no problem getting amped up for heavy resistance workouts, you dread those rows of cardio machines and can’t get motivated. Believe it or not, it is possible to get shredded without spending countless hours on the treadmill. In fact, you can even get stage-ready avoiding boring traditional cardio work. Not only will you save yourself countless mind-numbing hours, you will likely look better as well. Many ramp the cardio way up when trying to cut body fat. 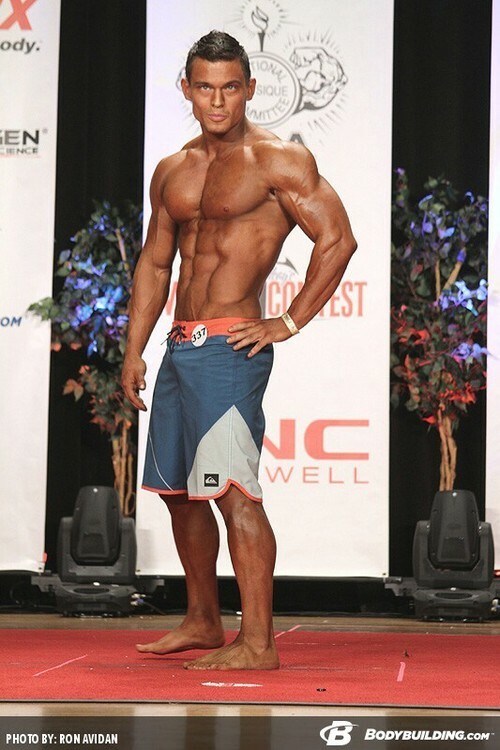 This is often combined with a large caloric deficit that is a recipe for losing lean body mass. Also, chronic cardio will elevate cortisol levels, markers of inflammation, oxidative stress, and fatigue your adrenals while weakening your immune system. While conventional cardio certainly has benefits, there are better ways to burn fat. 1. It goes on for too long. 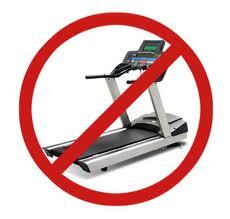 Spending 45+ minutes of cardio is going to result in muscle loss if you are in a caloric deficit. Unless you are performing cardio at a slow pace, you are going to cause muscle tissue to break down and be used for fuel. You could “carb up” pre-workout for longer more intense cardio sessions but with all the blood glucose and stored muscle glycogen you are limiting your capacity to burn body fat. 2. It causes many injuries. The mechanics of running and jumping seem so basic and easy. But when we spend most of our lives sitting and using sub-optimal posture we cause muscular imbalances that impede our natural ability to run, jog or jump without injury. The repetitive nature of conventional cardio often compounds imbalances or causes new ones you must continually address. Whether it’s the hip, knee, or foot something can get hurt unless you incorporate a full mobility training regime of stretching and foam rolling. If you are doing your cardio on the treadmill, numerous studies have shown there is a higher risk of injury than when running outside. This is due to the slight changes in biomechanics and the repetitive unchanging nature of the running surface. 3. It’s repetitive and boring. 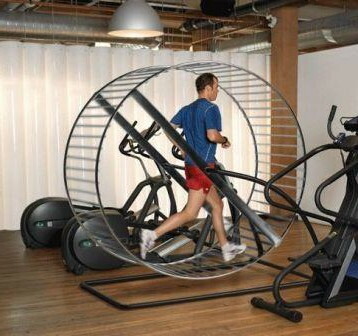 Who looks forward to sitting on a piece of cardio equipment for an hour plus? It’s not particularly challenging and doesn’t require a ton of skill or mental effort. Also when in a gym there are so many distractions around it’s easy to lose the necessary intensity and get lackluster results. Combine this with something that’s not fun to do, and chances are you will find excuses to not do it. Cardio is something you should like to do. 4. It doesn’t burn that much fat. Have you ever spent an hour on the elliptical only to see that you burned off an amount of calories equivalent to that donut you ate for breakfast? Those type of results can quickly drain your willpower. Also traditional cardio emphasizes lower body muscle recruitment while limiting the recruitment of other muscles that can contribute to a higher caloric burn. So in addition to being boring and ineffective, conventional cardio can cause injuries and muscle loss. With so many drawbacks, it’s worth exploring ways to burn body fat while avoiding “cardio”. Often people try to burn all their fat in the hour or so they spend in the gym. This only makes up a small portion of your week. It would be much more beneficial to try and burn fat the other 23 hours a day you’re not at the gym. Like when you’re lying on the couch, stuck in the car, or sleeping. Diet is the largest factor in determining your ability to burn body fat. One way to get into a “fat burning mode” is to go into a calorie deficit while restricting carbohydrates. While some people prefer more carbs while in a deficit, most have better satiety and adherence when following a low-moderate carb and higher fat diet due to increased insulin sensitivity and more stable blood sugar levels. When you limit the amount of carbs, you consume, you begin to deplete your body of glucose and glycogen stores. This forces your body to activate its fat burning mechanisms and break down free fatty acids for fuel. These will come from dietary fats as well as body fat, and they will fuel your everyday tasks. Only when doing intense workouts consisting of a moderate-high volume burn does the glucose we store from consuming carbs get used. This is a reason Sheer Strength Labs BCAA’s are so valuable when cutting. They will provide essential aminos your body needs to convert to glucose without breaking down your muscle tissue. So don’t get it backward like the average gym-goer. Working out is a time to train your heart and preserve or build your lean muscle tissue. Manipulating your diet to ensure you’re burning fat throughout the day is how you’re going to get shredded. Sheer Strength Labs BCAA’s will help ensure you’re burning fat and preserving lean muscle when cutting carbohydrates and calories. To break out of the monotony of conventional cardio, think about scheduling activities instead of specific times for cardio. Take the dog out for an extra walk, ride your bike to work instead of driving, go on a hike, heck even play some frisbee golf. Find something you enjoy and do it often. High-frequency, low-intensity aerobic exercise is a great way to burn fat while saving both time and wear and tear on the body. A way to further increase fat loss would be to do activities in the morning in a fasted state. Since you don’t have a full supply of glycogen and blood glucose, you will burn body fat to a greater degree than if done after a meal. You are far more likely to do something often if you enjoy it and these frequent lower intensity activities will slowly add up and aid greatly in fat loss while sparing lean muscle. Ok so you’ve got the diet down, and you are doing frequent low-intensity aerobic activities but still need to get rid of that last bit of fat. That’s where the complex training system comes into play and is far superior to any conventional forms of cardio. This is a full body circuit where you perform 3-8 compound movements with no rest until the entire selection of exercises is finished. Reps will typically be between 5-12. You will take a set rest of 1-5 minutes with the goal of shortening the rest period or increasing the repetitions performed every workout. Repeat the cycle 2-4 times. A complex addresses all the issues that arise with conventional cardio by integrating functional, full body exercises at a high intensity. It’s short in duration, and a large assortment of muscle fiber recruitment ensures no lean mass is sacrificed. The functional nature and balanced layout of the exercises will enhance mobility, unlike traditional cardio that typically creates muscular imbalances due to the repetitive movement patterns. It’s also something you can enjoy (in a sadistic kind of way) and will force you to become fully engaged while doing it. You’ll remove the mind numbing boredom that happens with most cardio training. Did we mention they’re brutally effective? You will burn more calories in this 20 minutes of torture than you will in an hour on the treadmill or elliptical. This is because you are recruiting such a large base of muscle fibers while challenging your core and stabilizers. Oh yea, and you’re gonna burn calories long after you stop your workout since a complex gives a large boost to excess post-exercise oxygen. This only happens after a very intensive workout and can be thought of as the “afterburn.” This allows you to reap the fat burning benefits of a complex workout many hours after you have finished! There’s an almost unlimited number of ways to set up an effective complex, and you can use an assortment of different equipment like barbells, dumbbells, kettlebells, or even just body weight. This particular one utilizes the Olympic barbell, and we will choose the weight to use based on the maximum weight we can handle for six repetitions during the weakest exercise. In our case, this would likely be push press. Rest two minutes and repeat three times. It’s important that form does not break down to the point of risking injury, so make sure to maintain a neutral spine position during this circuit. This simple workout will be grueling and have you looking for the gym exit. Supplement with Sheer Strength Labs Fat Burner to increase adrenaline and focus during these workouts. This will also contribute to burning more fat, specifically around the stomach due to the green tea catechins that are in the Sheer Strength’s Fat Burner formula. Cardio is a necessary component of any fitness regimen, but there’s no reason it should be conventional and boring. When you dial in your diet (make sure to take BCAA’s) and do frequent low intensity aerobic exercises, the amount of time you need to dedicate specifically to cardio is drastically reduced. Performing a complex style workout two times a week is all you’ll need to supplement with once you have everything else in place. Sheer Strengths Fat Burner will make them even more effective. So stop watching the seconds tick by, get off the hamster wheel and start burning some fat. Paired Sheer Strengths Fat Burner with branched chain amino acids do an amazing job at making your workouts more efficient and effective. Leading to multiple benefits that can only be found by making them synergistic. The post How to Burn Fat Without Cardio appeared first on .